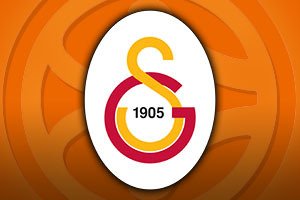 Spread Pick: Galatasaray with handicap -5.5 at 1.90 Over/Under: Under 152.5 1.90 Bet Now! 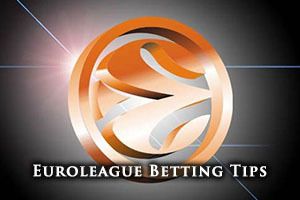 The Euroleague is back with a bang and the Top 16 gets underway in the final days of 2014. Most of the teams taking part in the Top 16 will get their next leg of the campaign underway on the 2nd of January but there are two games scheduled for Tuesday the 30th of December. One of these games features Galatasaray Liv Hospital taking on Zalgiris Kaunas, giving both of these teams the perfect opportunity to round off the year in style while hoping to start the new campaign in the best possible manner. Galatasaray finished fourth in Group D with a 4-6 record. Given that fifth placed Neptunas also finished with a 4-6 reocrd, it may be that the Turkish side can feel a bit fortunate to be in this stage of the tournament, but now that they are here, they will be looking to make the most of their opportunity. If they are to perform strongly in the Top 16, they will need a big showing from Goran Erceg. He was their key player in their main Euroleague campaign, averaging 18.1 points per game and providing 4.9 rebounds per game. Other big players for a team that averaged 80.3 points per game in the Euroleague were Kerem Gonlum, who provided 7.2 points per game, with 5.6 rebounds per game and Carlos Arroyo, who provided 15 points per game and 4.3 assists per game. Galatasaray are also struggling domestically, sitting in 7th place with a 7-6 record, although they did manage to win their last game, defeating Darussafaka by a score of 77-79. The Turkish side may hand a Euroleague debut to Justin Carter this week but all eyes are likely to be on Zoran Erceg. He was the player who managed the most minutes player game (32.17), he made 34 free throws in a row and he has managed at least one three pointer in 11 consecutive Euroleague games. Mind you, Carlos Arroyo has managed this for 12 games in a row. One player who will be charged up for this game will be Marty Pocius who spent three seasons at Zalgiris Kaunas, including last season, when he played a role in the team winning the Lithuanian Championship in 2014. One potential record to look out for in this match is Kerem Gonlum’s pursuit of the rebound rankings in the Euroleague. If Gonlum wants to overtake Mike Batiste for 5th spot in the all-time rankings, he needs to grab 11 rebounds and he is currently sitting on 1,106 rebounds. However, it may be that Gonlum makes his mark with respect to offensive rebounds as he is just 5 offensive rebounds away from being the second player to reach 400 offensive rebounds. Felipe Reyes from Real Madrid is the current leader, boasting of 476 rebounds of this nature. The Turkish side will come up against a Zalgiris side that finished with a 5-5 record in Group A, clinching third spot in the group. Again though, the teams in fourth and fifth position also held a 5-5 record so it is not as if the team from Kaunas was far away from being knocked out. Group winners Real Madrid and bottom team Dinamo Banco di Sardegna Sassari were the outliers in what was an otherwise tough group. With respect to grabbing points, Zalgiris were much less prolific than their opponents, only offering up an average of 71.4 points per game in the Euroleague. The top man for Kaunas was James Anderson, who averaged 17 points per game and provided an average of 5.7 rebounds per game. Anderson was helped by Paulius Jankunas, who offered an average of 9.2 points per game and 7 rebounds per game. Domestically, things are a lot brighter for Zalgiris, sitting in 1st place with a 16-1 record. They had a convincing win in their last game, defeating Mazeikiai by a score of 47-95. Kaunas were notably low scorers in the Euroleague, their average of 71.4 points per game being the lowest return of all the qualifiers. However, as you would expect, Kaunas were also fairly tight defensively, allowing only an average of 70.9 points per game, making them the second best in the Euroleague. With this sort of form, looking for the Under market in a game featuring Kaunas is always a sensible idea. One Kaunas player coming up against his former team is Darius Songaila, who played for the Turkish team in the 2011/12 season, when he managed to help the team into the Euroleague after gaining access via the qualifying rounds. Taking Galatasaray with a -5.5 handicap at odds of 1.90 is likely to be one of the most sensible bets you will find in the run-up to the New Year. The Turkish side will hold big ambitions about their chances of success in 2015 and this will provide them with an ideal platform to build from. If you are looking at the Over/Under market, you will find that betting Under 152.5 is a great bet, and all of the bets suggested for this game can be found at Bet365. Bet Now! We can also help you watch the game live so if you want to add some Euroleague basketball action to your activities on Tuesday the 30th of December, we are here to help you out.